Superior Quality Stickers Printing and great customer service are just some of the reasons why businesses, graphic designers and everyday consumers trust us with their printing – all backed by our 100% Quality Guarantee! With Stickers Printing Press you can rest assured that your print product will turn out right the first time. 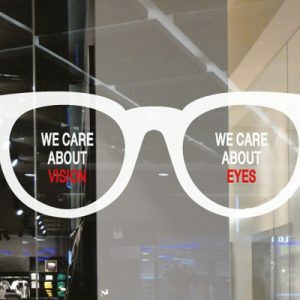 We offer superior quality printing all backed by our 100% Quality Guarantee. Have a question or need help placing an order? We’re here to help! Our printing specialists are available 24 hours a day Monday-Friday and from 9am-5pm PST on weekends! We offer some of the fastest printing turnaround times found online. With our 1-day turnaround option, you can have your product printed and shipped within 24/7 hours*. Local pickup is also available in the Los Angeles area. 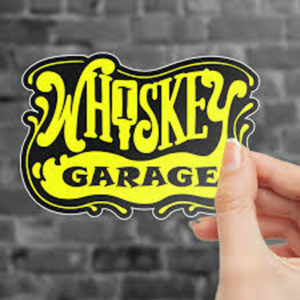 Create awesome custom stickers and posters with no minimum order. Are you searching for a UK custom stickers printing manufacturer that offers quality at cheap rates? Then look no further than STICKERS PRINTING PRESS for custom stickers and label printing services online! All of our custom stickers are produced and printed on durable vinyl with 1440dpi high gloss printing and eco-friendly solvent inks for crisp detail & vivid colour which really takes your artwork to life. After all, making them surely stand out with quality and colour is key to creating sure that they get noticed, especially if you have a business brand or special offer to promote. 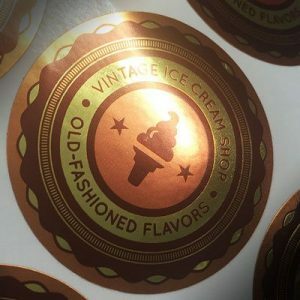 With our custom created sticker and labels printing service, you can get custom stickers to your exact demands & still pay a very cheap price. We take great pride in offering flexible custom choices for all orders huge or small, so not only can you choose from a large range of many shapes, lamination and adhesive options, but you can also enter in your own measures for a Completely custom sticker size! When you combine this with the ability to upload your own artwork, you can literally build custom stickers and printed labels suited to any terms you can think of! They can be utilised for promotion, branding, special occasions and much more things. So if you want to buy labels online, we’ve got you covered. The low minimum order amount also means that you’re free to only order the number which you really require. You won’t be forced to buy thousands if you only want a few hundred. This makes Stickers Printing Press ideal for large-scale orders right down to short runs with the same great quality joined as standard. Personalised stickers can be an excellent way to improve your business and naturally lend themselves to various ways of marketing. In a world where we spend most of our effort marketing online, whether it’s tweeting, sharing or posting its easy to overlook anything beyond this. But this makes the power of utilising print and something tangible even more valuable, just like the Levis advert said, ‘When The World Zigs, Zag’. With this in mind, why don’t you get started today by ordering your sticky labels and use them your way? Sticking even a logo on your products to improve brand information is just one way to use them and even if it is the most popular, you don’t have to be. Stand-out with your marketing ideas by utilising one of the ideas below or better yet, have the courage to be different and find your own bespoke way to improve your business. It’s all well and good ordering large quantities of print but what happens when a cost changes on your leaflet or you want to have a sale? Stickers, that’s what happens. Nothing is better than getting attention to a sale than a glossy sticker on a rate list. It makes your discount and affordable rates look genuine and as if it won’t last forever giving your clients that ‘hurry up and buy today’ urgency. When advertising something its important its get noticed so solid bright colours seem to get that all required attention combined with easy to read the text. If you have a direct outlet to clients either in a shop or you do craft fairs then why not stick them directly on your products, stands or displays to tell your buyers of the extra discount. A call to action is something which has become synonymous with websites in recent years, it‘s a way of telling your buyers what you want them to do next. 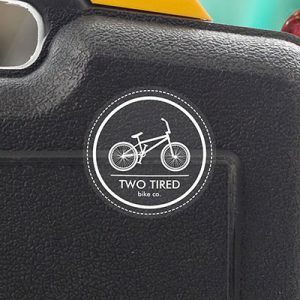 Why not combine this idea with your brand for your next order of customised labels. Some of our clients have had great progress with this. Here are a few of the examples to give you some ideas: Choose Me Up, Touch Me, Buy Me, Hello Beautiful, the list goes on and I’m sure you can come up with some great ones for your company. Nothing gets a smile like having a ‘Hello My Name Is…’ label stuck to you (we have no solid evidence of this actually being the case). So whether your business is attending a conference or holding an event get things moving quicker with an easy way to introduce yourself. 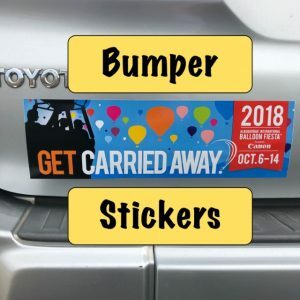 This sticker design isn‘t the only way to go, why not design your own online, maybe incorporate your business logo or a funny tagline which aligns with the event. A more simple way to look at this section is packaging stickers. I may go back and edit that title later. It’s only been the last few years’ companies have really been making the most of the white (or brown) space which is available on packaging as a way of marketing to consumers and making the ‘Emballage suprême’, that’s French for supreme packaging. By utilising the packaging you can make a suspense and excitement in both having the package and also opening it. By this alone it creates it much more of a big deal and has improved your chances of getting brand coverage on social media when your consumer snaps a photo and posts it! 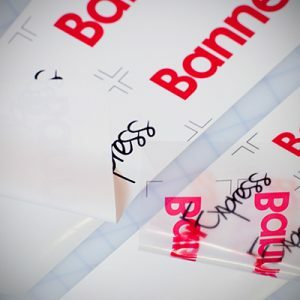 So your own products are on point, they are packaged in either boxes, jars, bags or some other protective container that isn’t even in the dictionary yet but what you now need is bespoke product labels printed which heighten the uniqueness of the product and can be added in no time. How about designing a sticker online to make a bespoke address label which incorporates your brand identity? Our rectangle stickers are the standard option for this and they are easy to write on so are accurate for the addresses of your clients. Alternatively, you can use these as return labels increasing the professional look of your business. Ready to show you mean business? Then make your design online or upload your own artwork and order your new personalised printed labels today! Stickers Printing Press aims to give first class service from the moment you visit our website to the moment your order arrives at your doorstep. Need advice? want to order via phone? Our fast and skilful team is on hand to help you in every way we can. If you’re uncertain about anything, just give us a call & we’ll talk you through ordering your new printed labels or custom stickers – including how to upload your artwork and any other support you may want. As sticker makers, our premium service also goes beyond customer care to make sure the entire experience is fast and efficient. Once we’ve received your order, it will be printed in only 3 to 5 working days and then fast finished with affordable price, next-day UK delivery or FREE next-day for orders over £50. Self-adhesive stickers. They’re everywhere, from high way stores and supermarkets to small business window displays but where did they come from? Easy to use, not so easy to remove but from whence did they come? You might think that self-adhesive sticker is a modernist invention, but you’d be mistaken. Let’s jump back in time to the early 1800’s. The introduction to sticky labels is all thanks to the European experts of the early 19th century. They experimented with the idea of sticking coloured stickers onto a product in expectations that it would support it sell. Well, useless to say, it worked. That’s why even today in our high-tech nation, companies are spending millions of pounds a year on this simple but effective marketing tool. Some of the antique stickers are still available at sales across the world and are sold at skyline value marks. Would you spend £3000 on a self-adhesive sticker? Although, until very recently, not strictly self-adhesive, the postage stamp is a familiar type of stickers and one of those has sold for nearly $10 million. In more current times, however, self-adhesive stickers are seen all over and paper is no longer the only material they’re manufactured of. Although these early pioneers had an excellent idea, it wasn’t sure the best means to the end. 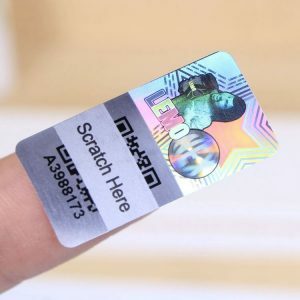 Today, self-adhesive sticky labels are more likely to be printed, and often created of vinyl or a similar material, are always greatly sticky and often implement a custom design. If we jump ahead in time from the early 1800’s, it was in the 1930’s when an ambitious administrator by the name of R. Stanton Avery thought up the idea of a machine that provided self-adhesive stickers which could be used to any material. Isn’t that a rather ingenious plan? It was from R. Stanton Avery’s incredible plan in the early 20th Century that the modern pressure sensitive labels were developed. The common issue, however, was that up until around 1980, to have properly printed labels, buyers would pay premium pricing. The first inkjets were produced in the 1950’s but they started being seen in the business sector in the early 1980’s. This was no mundane invention, the inkjet printer revolutionised the use of adhesive labels as well as many other manufacturers because commercial quality printing was now available without the requirement to go to a printing company. This was a game-changing invention as now it wasn’t only large companies which could afford premium pricing who were able to use printed stickers, now people in one-man small businesses could implement the method of self-adhesive labels. Laser printing was invented in 1969 but remained prohibitively expensive until the mid-eighties. 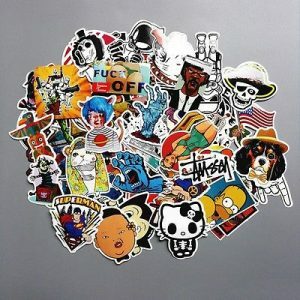 With technology becoming reliable and more affordable as time went on, it only made sense that stickers too would continue to grow in popularity. They were now an affordable way to give information on items, identify machinery, and even improve sales. Just try to imagine for a moment, a world without sticky stickers. Surely, students would find other ways to make their coursework and study notes easier to handle. Though just imagine not having the listed ingredients on everyday food stocks. Ingredients aside, imagine a bottle of juice without a sticker, you’d never know what you’re seeing at or what you were about to consume. Stickers became more popular in the UK as the farming market industry became more and more competitive. The idea of lithography that had come from European experts was fast becoming a good method to sell products for farmers at stores, they were great for drawing the attention of prospective clients with the bright coloured papers on offer. Stickers played such a large influence in selling worldwide, that in Microsoft Office Word processor includes a template for self-adhesive stickers. So, now we’ve had our little journey through time, and see how comfortable it is to obtain printed labels these days where can you get them? 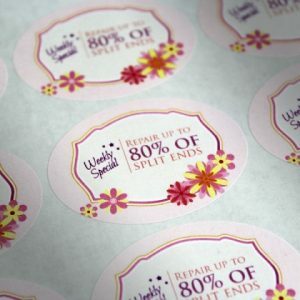 Well, we have an easy solution for you, firstly ‘Try before you buy’ with our stickers printing press’s free sample pack. You will be able to look at our amazing print quality and test our samples on your very own products to check which suits your correct purpose. Once you know which material is right for you then head to our easy to manage website here, enter your stickers shapes, size, the material of variety and quantity of stickers you need for an instant quote. Once you’re happy then go ahead and securely buy your stickers online and get your sticky labels 24 hours later, from stickers printing press!